Living by the sea exerts an air of magic, a determining factor of Leigh-on-Sea’s recent ‘happiest place to live’ title. 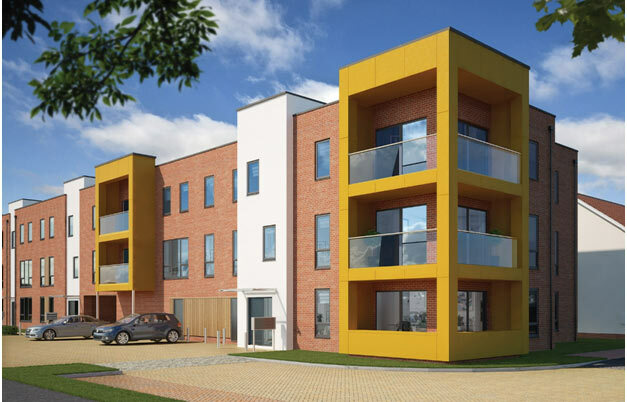 As the Essex town enjoys this accolade, awarded by Right Move[i], potential buyers have been drawn to nearby Southend-on-Sea, where Bellway Essex’s Ekco Park has just two apartments remaining. Ideal for first-time buyers, professionals and investors, the property is available with Help to Buy and offers the final opportunity to join this thriving community. Amongst a collection of one, two and three-bedroom homes, The Eastwood and the Gunners are stylish one and two-bedroom apartments offering an open-plan living, kitchen and dining area. With sleek features including an impressive kitchen, a contemporary bathroom featuring Roca sanitary ware and a spacious wraparound balcony, this unique apartment is ideal for easy and relaxed lifestyles. Ekco Park is well located to flourish near the beautiful coastline, just a ten-minute drive from some coveted sandy beaches and home to the world’s longest leisure pier. For a fun day out, the Adventure Island Family Fun Park, a Sea Life Adventure Aquarium and the Kursaal bowling alley and amusement arcade are all just a short distance away. Just a few minutes from the development is Priory Park, with forty-five acres of beautiful gardens, bowling greens, recreation areas and a children’s playground. A selection of convenience stores and supermarkets are in the vicinity of the development, catering for everyday essentials. Southend High Street, a ten-minute drive, hosts a selection of popular retailers and independent boutiques, along with a weekly market and a bi-weekly farmers’ market. Renowned for its fish and chips, seafood and ice cream, Southend also offers many international cuisines, has wine bars and traditional pubs. Just an eight-minute drive from Southend University Hospital and seven minutes from Southend Airport, the development is conveniently located. For train commuters, Prittlewell Station is just a ten-minute walk away from Ekco Park, with direct trains to London departing frequently and taking less than an hour. Ekco Park also benefits from excellent road connections with the A13 and A127 in close proximity. The remaining 1-bedroom home is available for 199,995, and the two-bedroom is available for £229,995. For more information please visit www.bellway.co.uk .